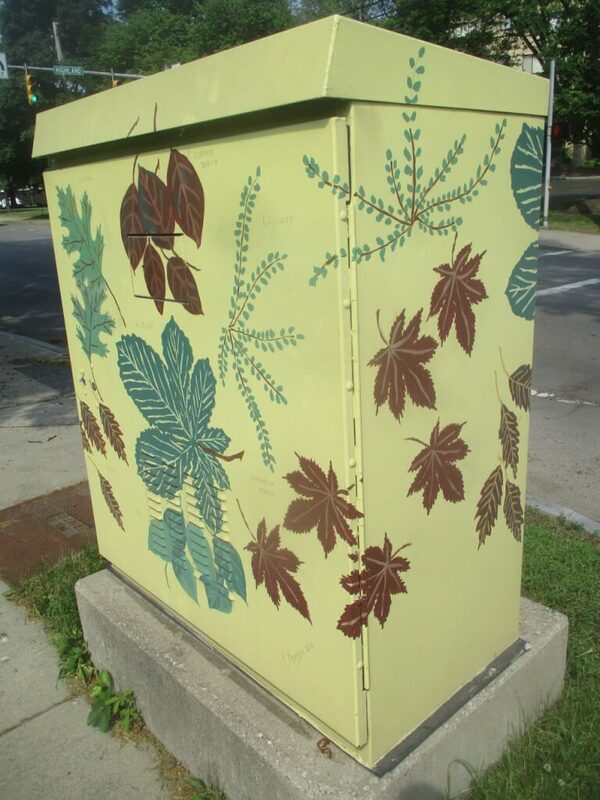 For those who tool around Brighton — whether on foot, bikes or cars — you’ve no doubt seen the several Traffic Control Box Artworks adorning various corners. 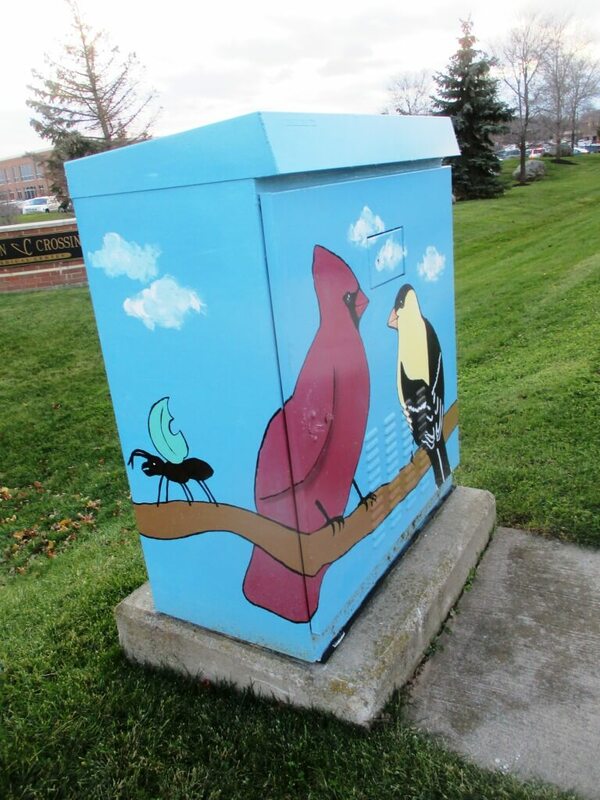 I’ve often wondered about the back story to these attractive boxes that beautify the neighborhoods. 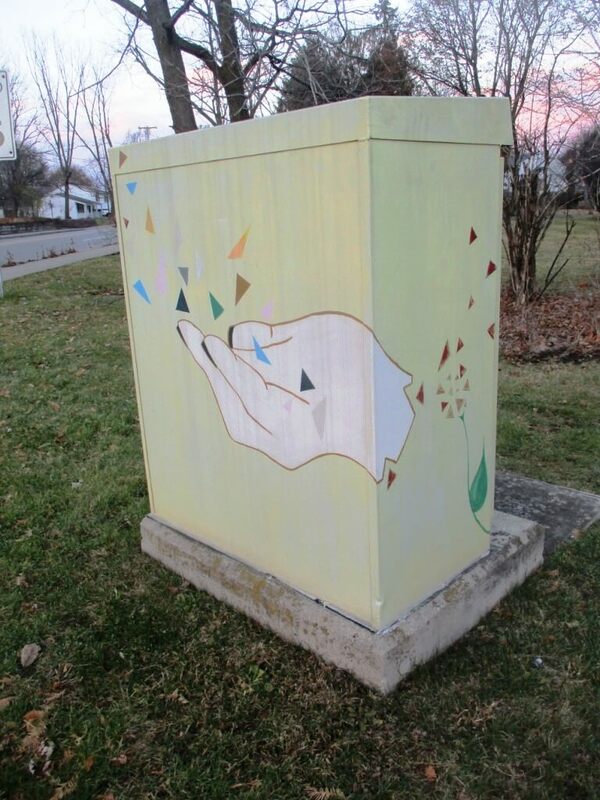 “With the acknowledgement that perhaps it had little to do with “Sustainability,” Rochelle Bell asked about painting traffic control boxes at a Sustainability Committee meeting in 2015. What a great idea! 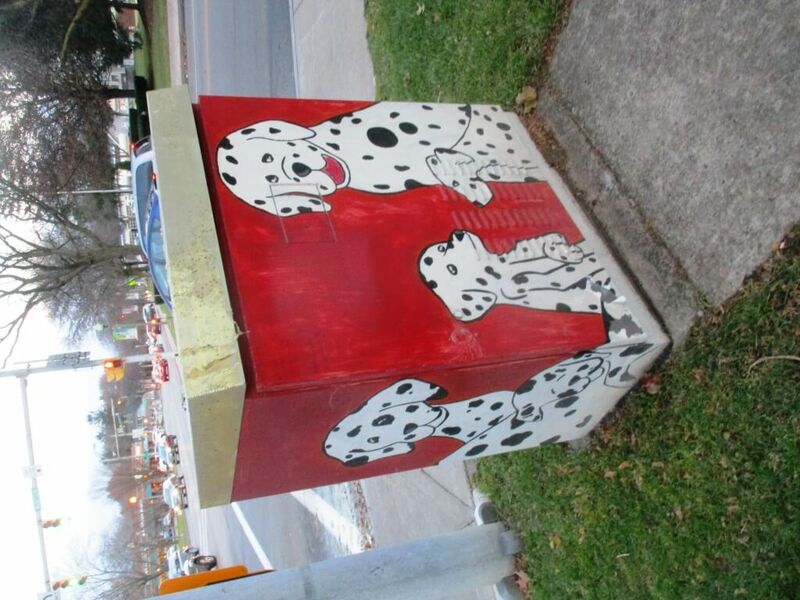 As Town Board liaison to the committee, I called Elaine Spaull at the Center For Youth which I heard had decorated many boxes in their Upper Monroe neighborhood in the City. Elaine shared their experience and pointed me towards Joyce Cordero of the County Department of Transportation for information on permitting. Joyce proved to be extremely helpful and enthusiastic. Joyce taught me all about traffic signals and their control boxes. All signal lights have them. Some lights are State controlled and some are County — depending on the ownership of the intersecting streets. Identification is easy. If the traffic signal housing is green, it’s a State signal. County signals are in yellow housings. The distinction is important as the County is very receptive to turning these graffiti magnets into works of community art. Aside from some obvious restrictions on content, the County’s primary concern is only that we avoid dark colors that might create a heat sink and impact sensitive electronics inside. With the County permitting process well in hand, we now needed artists. The school year closed out too quickly but Mrs. Burger assured me that her BHS Art Club would execute these works the following Fall, despite her impending retirement and Celina Tassone’s graduation. Mrs. Burger’s successor, Katie Maley, was pleased to receive the commission. 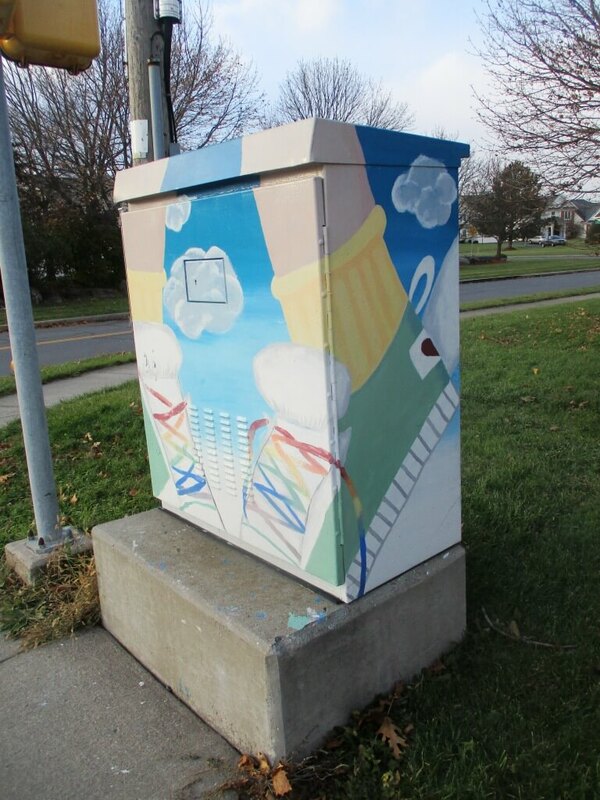 I put in a request through DPW Commissioner, Tim Keef, for a primer coat of the target boxes. Though he lacked manpower at the height of the Fall clean-up season or funding in his budget, he volunteered to wield a brush himself if I would do the same and provide the paint. Commissioner Keef and I spent a fun afternoon priming the boxes and each other. Mrs. Maley brought out her troupe of artists and, in one afternoon’s session, both boxes were executed. I then followed with an anti-graffiti coating which is more like paste than paint. The following year, we thought to broaden our outreach and were thrilled with the response. A small group of Rochelle Bell, Katie Maley, artist, Betsy Liano, student/artist Catherine Wu and I met to jury a dozen submissions and chose Abigail Tiet’s Winged Sneakers. (Westfall – Barclay Square) and Catherine Wu’s, own Birds of Brighton (Westfall – Lac DeVille). Mrs. Maley again delivered the BHS Art Club to execute the works the following September. In the interim, Carol Kenyon, a professional artist and member of the Baptist Temple, offered her Trees of Brighton for the corner out front of the Temple (Clover-Highland) and painted it single-handedly. The only hitch in the entire process was the arrival of the Brighton Police dispatched on a call by a rush-hour commuter about someone hammering on a Westfall Rd traffic box. I am an enthusiastic painter rolling on the primer and anti-graffiti coats. We continue to look for submissions. 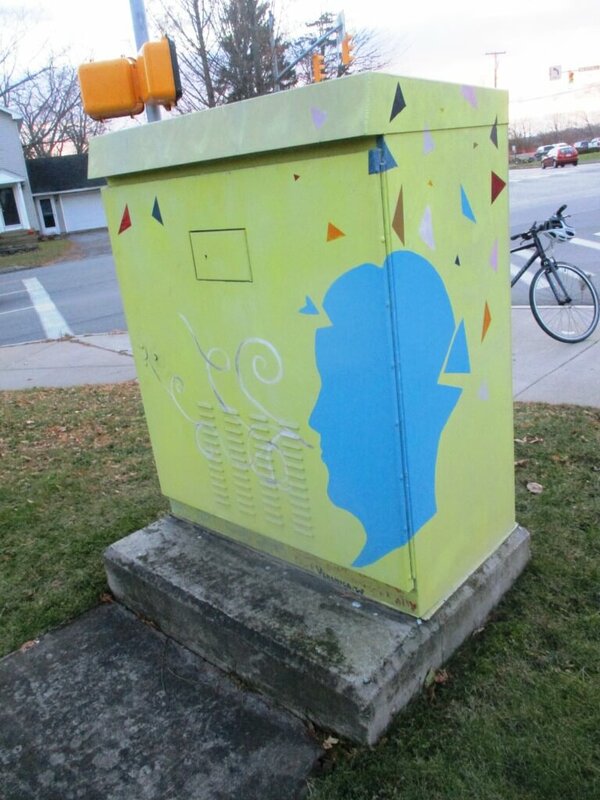 We have several County boxes in our sights and, with the “encouragement” of “Joe and Joe” – Senator Joe Robach and Assembly Leader, Joe Morelle, we now have permission to paint a State box at 12 Corners at Elmwood – Monroe. You supply the talent and we’ll take care of the rest!